Easily track all assets in your facilities with Asset Track. Record supplier and user information. Know where the asset is located. Scan manufacturer barcodes or produce barcode labels directly from Asset Track. Work for Jolly Asset Track? What Asset Tracking solution do you use? With EZOfficeInventory you can manage your equipment, assets and inventory with ease. Sage Fixed Assets is a solution that provides tools and features to help you manage compliance, disaster recovery, and cost. This application allows technicians to track asset data to pro-actively manage your organization's vital information. TrackAbout provides SaaS asset tracking and management solutions for companies in packaged gas, chemicals, HME, oil field, university equipment and more. ON!Track Asset Management is for construction professionals. The system provides complete clarity into assets, where they are, who is using them, and when they'll need maintenance. Wasp AssetCloud manufactures efficiency solutions for small businesses. MapYourTag has been developed to assist Small and Medium-sized Enterprises and others who need to track, manage and get traceability of their assets, equipments, resoures, items, etc. Site-Secure provides physical security management and reporting software for incident management, dispatching assets, lost and found, key management, contractor management, trouble calls, visitors, restricted access and more, also available is integrated threat and risk assessment software. A solution designed to make it easier for maintenance employees to track, manage and report their asset or equipment maintenance needs. 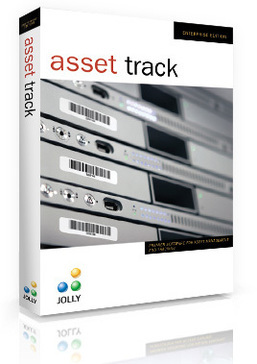 Learning about Jolly Asset Track? * We monitor all Jolly Asset Track reviews to prevent fraudulent reviews and keep review quality high. We do not post reviews by company employees or direct competitors. Validated reviews require the user to submit a screenshot of the product containing their user ID, in order to verify a user is an actual user of the product. Hi there! Are you looking to implement a solution like Asset Track?